Life Angels was founded in 2014 by BSN, RN Angel Love Davis. 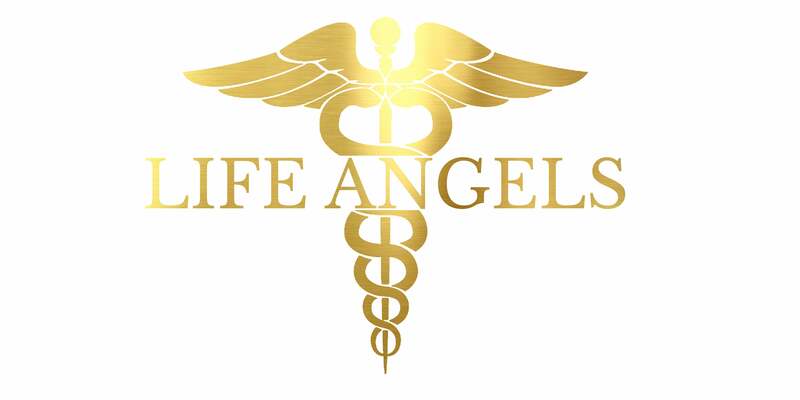 Life Angels was designed to recreate the plain, boring, uncomfortable uniform medical apparel to more of a fashion forward, glamorous, new improved uniform apparel line. ​Angel has worked as a registered nurse for the past ten years, and she would often have conversation with her co-workers about recreating a new innovating functional uniforms for the work force. Angel believed since scrubs are apart of the weekly wardrobe; why not create a uniform that was trendy and stylish, but yet most importantly having the highest level of comfortability. Angel chose the name "LIFE ANGELS" because she believed in order to save a LIFE; you must be an Angel so why not be a Life Angel. Life Angels isn't just a brand it’s a lifestyle. Angel Love is a multi-faceted beautiful young woman that many have grown to love from the VH1 Network reality series Basketball Wives. However, before gracing the Television screen across the world, Angel graduated with dual degrees and shortly afterward completed her BSN. Angel has always taken the upmost pride and dignity in caring for patients but often felt uncomfortable in the same old boxy scrubs that she wore on a weekly basis. Angel believed since scrubs will be apart of her weekly wardrobe; why not create a uniform that was trendy and stylish, yet most importantly comfortable? So, she decided to create her own and birthed LIFE Angels! Angel wanted to curate a uniform that would not only make nurses look amazing while wearing but feel amazing too! She also believes, when you carry positive uplifting energy it transfers to your patients as well.